Posted in Blog on November 6th, 2018. 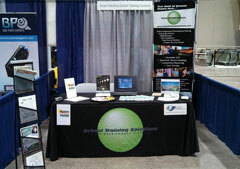 Thank You for Visiting the School Training Solutions (STS) booth at the NAPT Summit and Trade Show in Kansas City, MO. It was a busy conference with a lot to offer the pupil transportation industry. During my conversations throughout the event, I noted a few topics that kept coming up. NAPT PDS Courses Online. NAPT, in partnership with School Training Solutions (STS), offers NAPT Professional Development Series courses online. You can begin working on Certified Pupil Transportation Specialist (CPTS), Certified Supervisor (CSPT), and Certified Director (CDPT) certificates or work toward your recertification. In-Service Training. As you know, many states require yearly in-service training for school bus drivers. In most cases, the topic(s) and method of training is left up to the school district and/or transportation department. Our online classroom curriculum for school bus drivers can be an option for in-service training! Remediation Training. Unfortunately, accidents happen. Minor infractions create an opportunity to learn new techniques or sharpen skills. Our individually priced courses are a great solution for these remediation moments. Your driver can take the course online and print a completion certification when they have successfully completed the course. Custom Training Catalogs. STS can put together a custom training catalog, built to your specifications, so your employees get the right training. Courses can be pulled from our full transportation catalog or general topic courses like Sexual Harassment Awareness, Bloodborne Pathogens, Time Management, or Stress Management. Let us know if School Training Solutions (STS) can help you implement an online training program for your school bus drivers or other school employees.